Seated Left to Right: Attorneys Timothy Moran, Matt Morgan, and James Young of Morgan & Morgan. The Jacksonville Sheriff's Office blocked off the area around the Landing Sunday to secure the scene of a mass shooting. 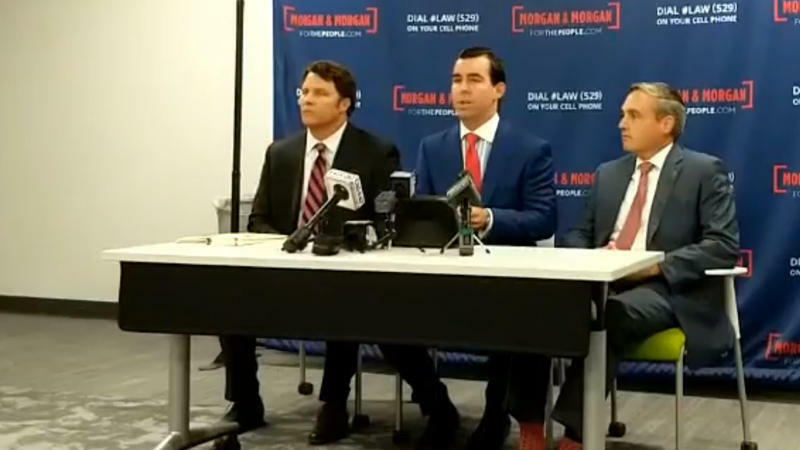 The Morgan and Morgan law firm on Tuesday announced it's planning to file a suit this week on behalf of several victims harmed in the Jacksonville Landing shooting on Sunday. 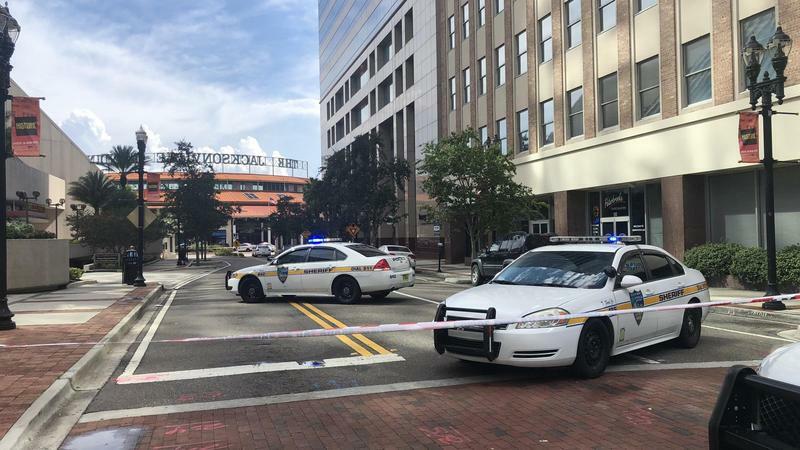 Attorneys Timothy Moran, Matt Morgan and James Young made the announcement Tuesday morning from the firm’s downtown Jacksonville location less than a block from where the shooting happened. Morgan said his team is of the opinion the shooting could have and should have been prevented had there been proper safety measures in place. He declined to name his clients, only saying they were either hurt physically, emotionally or a combination of the two. “One of our victims that has retained us was shot multiple times and is dealing with the devastating consequences both emotionally and physically of rehabilitating himself and his life,” Morgan said. The lawyers also wouldn’t say who their clients will be suing. “We are going to explore and consider any and all viable defendants in this suit,” Morgan said. Morgan said with the frequency of mass shootings, combined with the growing popularity of eSports, businesses and event organizers should provide the highest level of security even if it's expensive. He added there was a shooting at the Landing just last year, and Morgan and Morgan’s office building across the street was hit by a stray bullet earlier this year. Landing shooter David Katz carried two handguns and extra ammunition into the Madden 19 tournament over the weekend inside Chicago Pizza’s GLHF Game Bar. He opened fire on gamers, shooting 12 people and killing two of them, Elijah Clayton, 22, and Taylor Robertson, 28, before taking his own life, according to the Jacksonville Sheriff’s Office. Madden maker EA, Electronic Arts, canceled the three remaining Madden NFL 19 tournament qualifying events while the company evaluates safety policies and procedures for competitors. “We’ve all been deeply affected by what took place in Jacksonville. This is the first time we’ve had to confront something like this as an organization, and I believe the first time our gaming community has dealt with a tragedy of this nature. Please take time to support each other through this challenging time,” said EA CEO Andrew Wilson in a news release. Morgan said that’s a positive step and what he hopes the lawsuit will help accomplish. “Having business owners, having event organizers take a second look at their security procedures” is the goal, he said. Of the 12 people who were shot at the Jacksonville Landing on Sunday, ten survived and were treated at Memorial Hospital and UF Health Jacksonville. 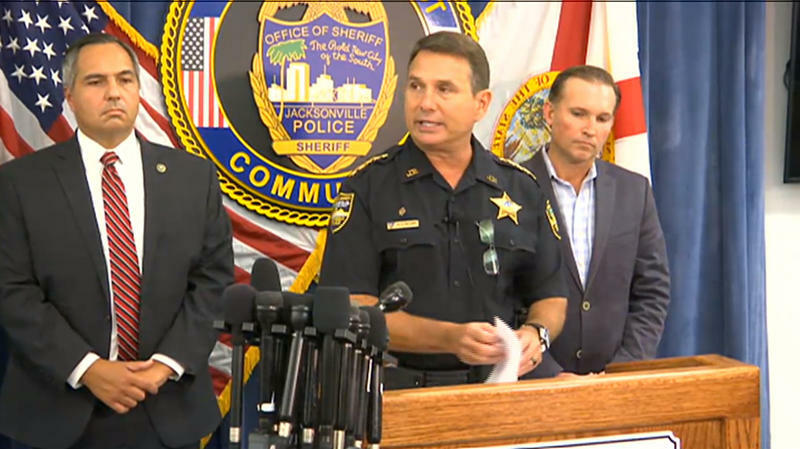 Jacksonville Sheriff Mike Williams said Monday afternoon that the suspected gunman behind Sunday's fatal mass shooting at The Jacksonville Landing carried in two hand guns and extra ammunition. 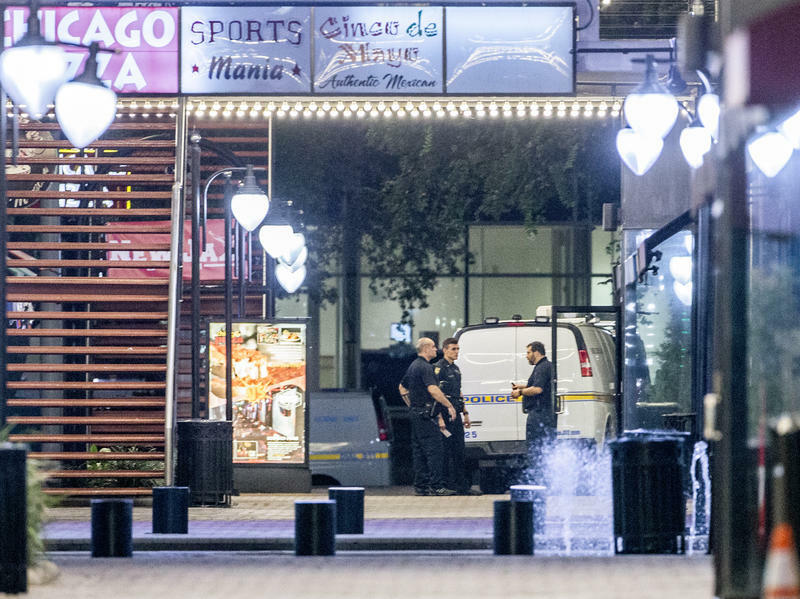 WJCT News along with other news media used the term “mass shooting” in reporting Sunday’s tragedy at the Jacksonville Landing in which two people were killed and nine others where shot. The gunman also took his own life.